Scottish Premiership giants Rangers have announced the signing of talented England youth international Nathan Young-Coombes. Nathan Young-Coombes moving to The Teddy Bears suggests that he has not been offered a scholarship by Chelsea or rejected a new deal. 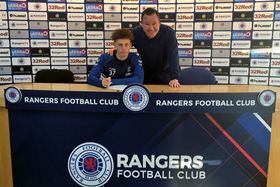 The 16-year-old has penned a two-and-a-half-year deal with Rangers, subject to international clearance. He has departed Chelsea less than two years after his arrival at the Stamford Bridge from Crystal Palace. Young-Coombes is expected to initially play for Rangers U18s rather than being involved for the first team. British-born Nigerian striker Dapo Mebude is on the books of Rangers.